Tuesday 13 April 1943 Dearest: A few moments before Taps. . . .just returned from Physics class (7:00 to 9:30 p.m.). Ought to be time enough to tell the sweetest little girl in the world that I love her. If I were to tell you how much I love you, it would take me from now until eternity. I didn't get into Houston last Wednesday. I don't how.n.hell the letter got there! 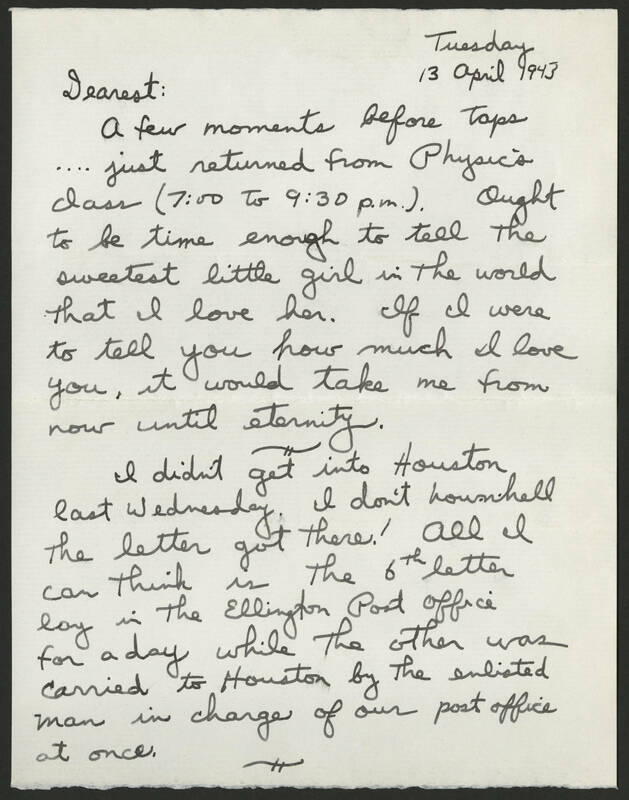 All I can think is the 6th letter lay in the Ellington Post Office for a day while the other was carried to Houston by the enlisted man in charge of our post office at once.